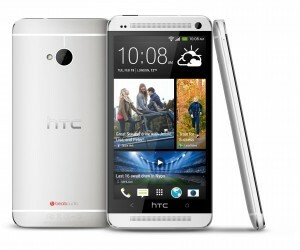 HTC released the One (M7) in March 2013 and it was available in black or silver. It has 32GB of internal memory and cannot be externally expanded. This model was launched running Jelly Bean OS but can now be upgraded to Lollipop. The One has a 4.7″ super LCD3 touch screen with Corning Gorilla Glass and HTC Sense IU. It also has a 4MP camera, 1080p video recorder, and a 2.1MP front-facing camera. With the quad-core processor, 2GB RAM, and Adreno 320; the HTC One M7 was highly efficient and can do just about anything! Once unlocked, the device can be used with compatible carriers around the world. Unlocking your Rogers HTC One is easy, quick and 100% guaranteed by Cellunlocker.net. Unlock your Rogers HTC One with CellUnlocker.net today and receive your network unlock pin within minutes! Why Unlock your Rogers HTC One with Cellunlocker.net? Unlock Your Rogers HTC One Today!